Extension is a Division of the Institute of Agriculture and Natural Resources at the University of Nebraska–Lincoln cooperating with the Counties and the U.S. Department of Agriculture (USDA). University of Nebraska–Lincoln Extension’s educational programs abide with the nondiscrimination policies of the University of Nebraska–Lincoln and the USDA. Our Mission: Helping Nebraskans enhance their lives through research-based education. As the ‘outreach arm’ of the University of Nebraska, Extension offers education in all 93 counties across Nebraska. Nebraska Extension helps children and youth improve eating and physical activity patterns with direct education and healthier home, school, and community environments. Supporting healthy behaviors and environments helps reduce food and health care costs by helping prevent chronic health conditions. 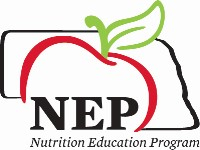 The Nutrition Education Program (NEP) is a USDA grant funded program operated through Extension across the state. NEP helps families on a limited budget make healthier food choices and choose physically active lifestyles by acquiring the knowledge, skills, attitudes, and behavior changes necessary to improve their health. NEP is free to all participants who meet income guidelines. Additionally, NEP participates in Policies, Systems and Environmental (PSE) strategies that impact communities. 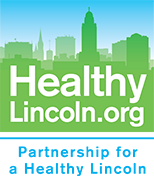 Together with community partnerships, NEP strives to improve the health of Nebraskans. For more information visit the NEP website or facebook page.